Wayfinding is a 4600 sq. 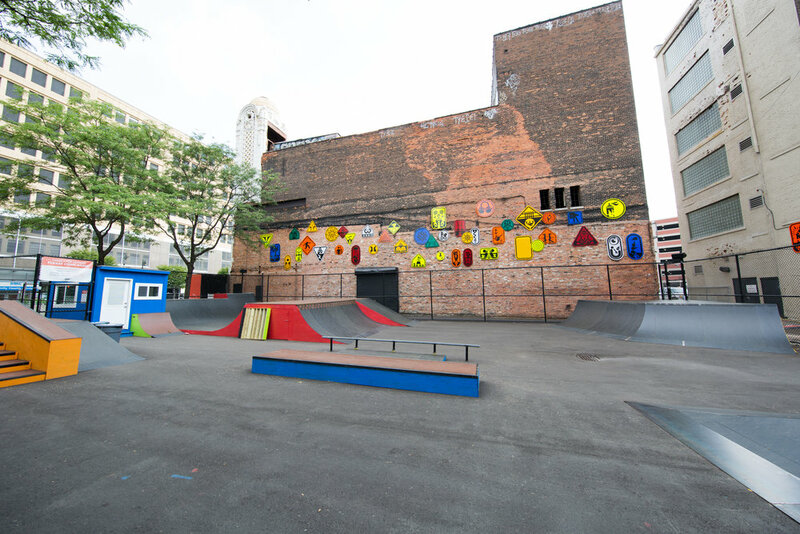 ft. art installation and public skate park by artist Ryan McGinness and Tony Hawk, the most influential skateboarder of all time. Wayfinding was built by George Leichtweis of Modern Skate and Surf, a huge player on the local skate scene since the 1970s who also designed the Fisher Halfpipe. 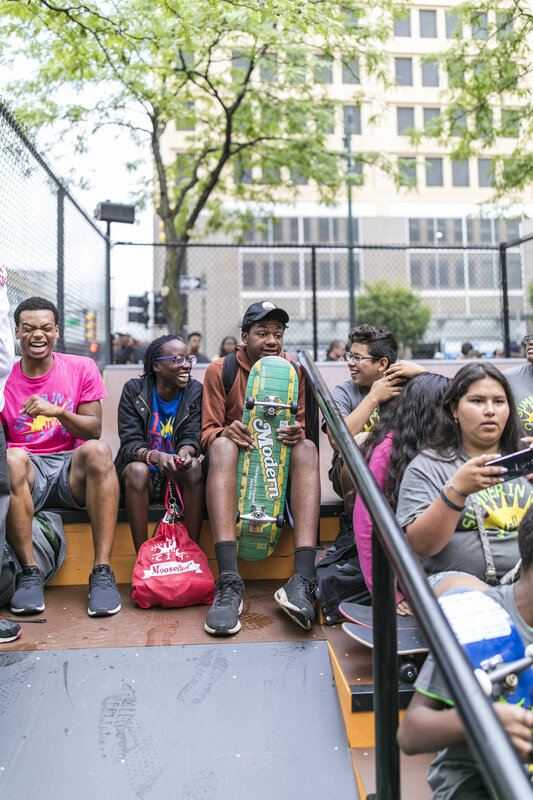 The park included six skate-able elements inspired by Detroit as well as a viewing area for spectators. 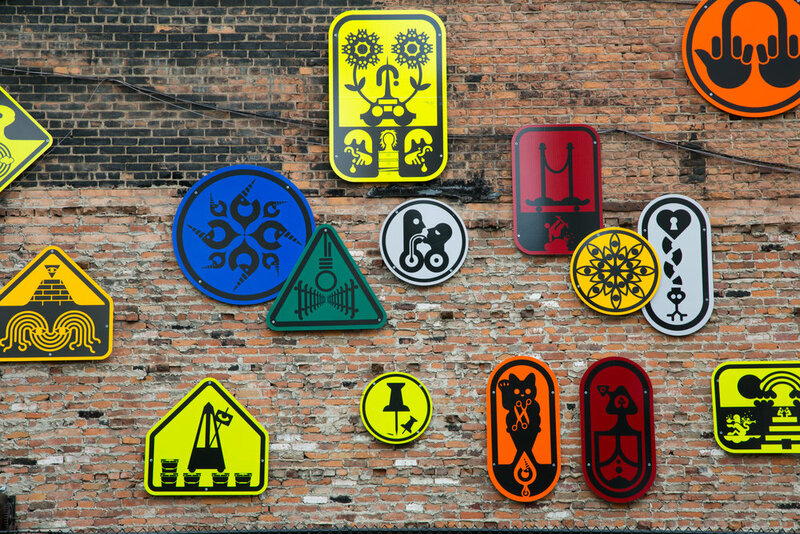 The park was originally proposed and produced by Library Street Collective with support from Cranbrook Art Museum and is presented by Bedrock and the Quicken Loans Family of Companies. 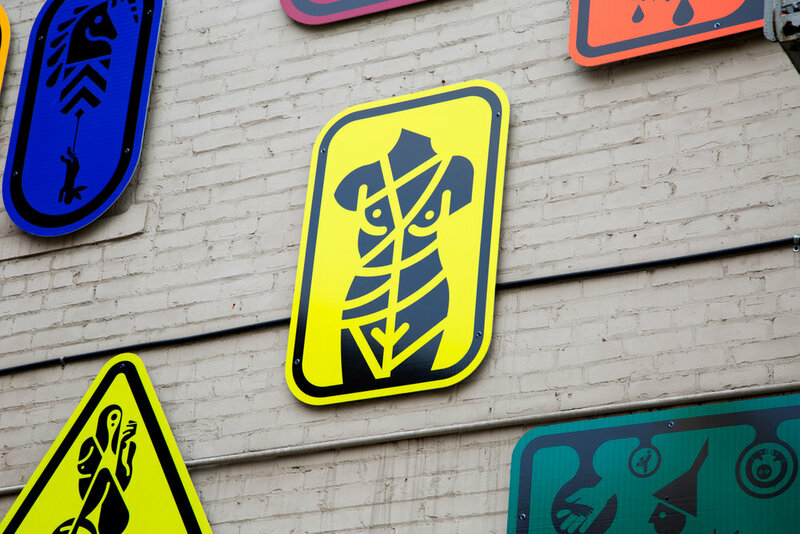 The term “wayfinding” refers to the discipline applied to guiding people through a physical environment. These strategies for helping people navigate space are usually applied by architects and designers.When in the hands of a skateboarder and artist, the traditional guidelines for wayfinding get upended. Architectural elements and signage that were intended for one purpose are subverted. Hawk repurposes benches, rails, ramps, and curbs as props to serve the expression of skills and tricks. McGinness takes authoritative signs that normally dictate behavior with a universally understood visual language and undermines those forms with surreal and absurd imagery. Both approaches destabilize conventional utilities of forms in urban environments. Wayfinding’s functional and mobile design will allow it to move to another location in the city following the Monroe Blocks groundbreaking.